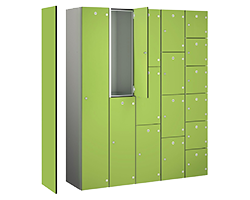 This Heavy Duty Cabinet is available in 18 sizes. welded in construction from 1.2mm thick steel sheet with reinforced double doors mounted on full length hinges secured by 3 way locking flush fitting non snag handle. All cabinets have adjustable shelves (100 kg UDL).